My first wedding of the year couldn’t have been more incredible! I loved everything about Amanda & AJ’s day & am so excited to share so many of my favorites!! 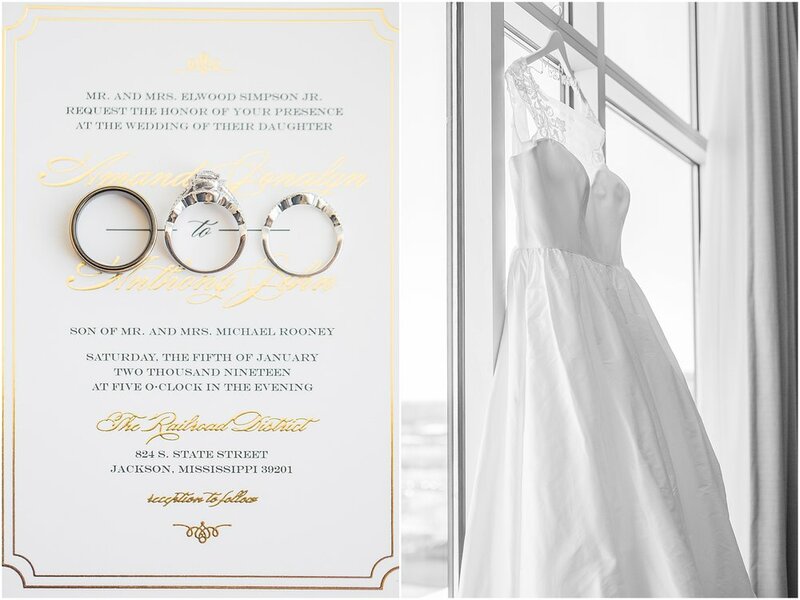 We couldn’t have asked for better weather for their January wedding, & Amanda & AJ chose to share a “first look” at the Mississippi State Capitol. The backdrop was beautiful, but the emotions between Amanda & AJ were simply the best. It was one of the sweetest first looks ever!! Meredith with Stella & Co. did a great job coordinating the day, & The Railroad District was the perfect venue for Amanda & AJ’s elegant theme. Fresh Cut Catering & Floral outdid themselves once again with the food & florals! Amanda & AJ truly chose an all-star team to make every detail of their day amazing!! There were so many sentimental details that stuck out to me throughout the entire day. Amanda & her dad shared a first look & he gave her a piece of jewelry that had belonged to Amanda’s grandmother. Amanda’s cousin performed the ceremony & gave her their grandmother’s Bible as a symbol of her being present at the wedding. 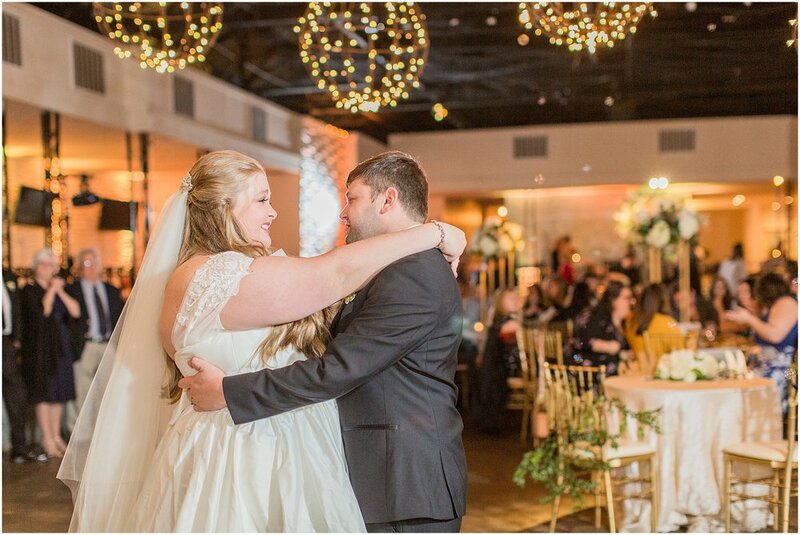 The father of the bride played a song he had sang to Amanda so many times during her childhood, & seeing Amanda’s reaction was absolutely priceless. 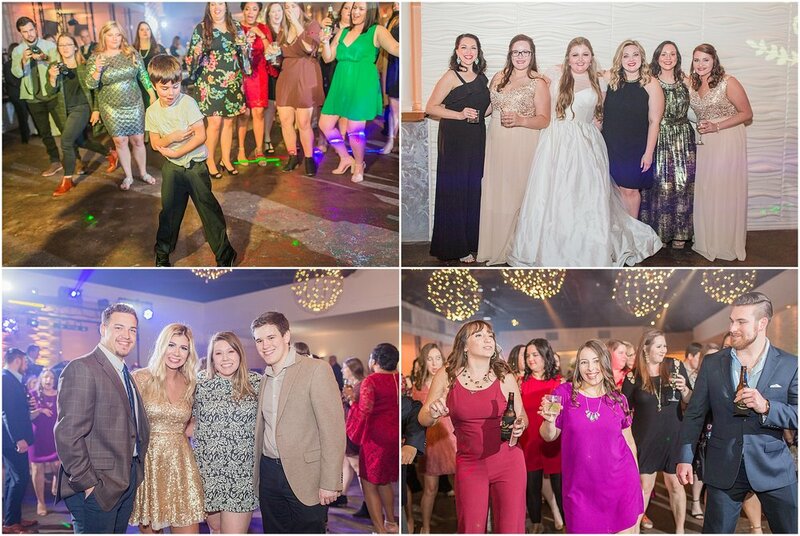 The best man & maid & matron of honor gave such personal & meaningful toasts to Amanda & AJ, & you could truly see just how loved they are by all of their family & friends! Amanda & AJ - thank you so much for giving me the honor of being your photographer! Your wedding day was amazing, & I can’t wait to see what God has in store for your marriage!